"Ghosts of a Neon God," by T.R. 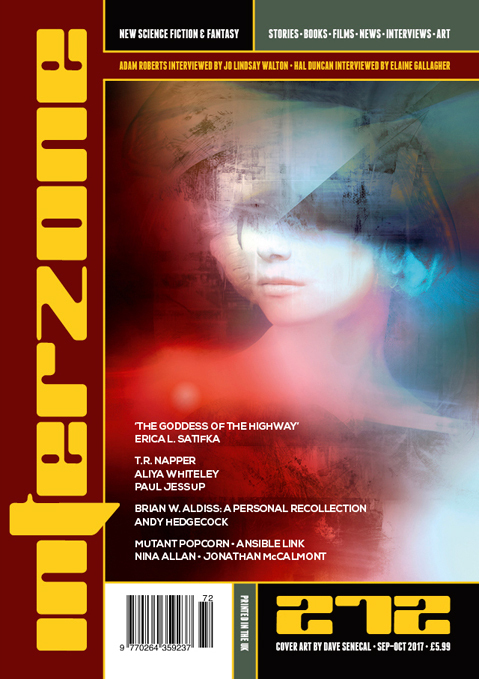 Napper [bio] (edited by Andy Cox), appeared in Interzone issue 272, published on September 15, 2017 by TTA Press. Pro: The best part of this story is the chase at the end, where Jack evades and then kills Yao Li—partly through luck, but not entirely. From the start, we knew Jack wanted to leave Melbourne, so his departure at the end is something of a victory, albeit a painful one. Con: We never learn the big things behind the story. What secret could the Chinese woman have had that could have “saved” Australia? Were the police after Col and Jack for real, or just because someone from China paid them off?